We were on an extended stay in Germany for the summer and wanted to visit Disneyland Paris, so we finally made it happen. We leased a car in Frankfurt, Germany, for our stay in Germany, but we built in some extra time at the end, so we could hop a train and head over to Paris. We were actually combining adventures. 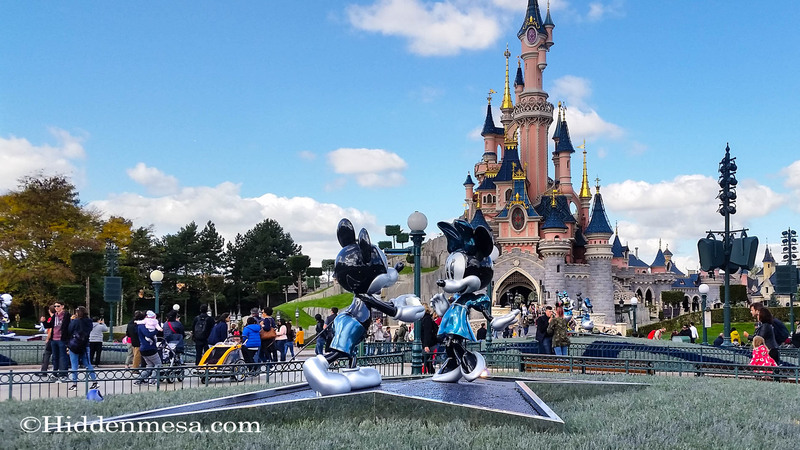 We’ve never taken advantage of Europe’s famous train transportation system, we’d never been to Belgium, and of course, there was the prize at the end of the train ride, Disneyland Paris. This is the train that was blazing along at 185MPH between Frankfurt and Brussels. We’re in the train station beneath a terminal at the Frankfurt Airport. Photo by Bonnie Fink. It was good to start a train ride from Germany. Since we had been in the country for a few weeks, we were getting used to hearing the language and reading the signs, so when the completely foreign concept of riding a train, negotiating the ticket buying process, finding the boarding platforms, and so on were at hand, we weren’t completely lost. Our first train riding day was just a couple of hours over to Brussels, Belgium. We read that the trains that go long distances were reasonably fast, but we had no idea. The speed indicator in the cabin of the train showed that we were travelling at 300 Kph, which works out to slightly over 186 Mph. And sure enough, when we held our GPS equipped phone up to the window to receive a good signal, the driving app showed right around 185 mph. Didn’t take long at all to get from Frankfurt to Brussels. As an American who’s ridden a train in the US (a long, long time ago), we thought the ride at that kind of speed would have been reasonably rough. In fact, we would worry that a train traveling at that speed on most US tracks would simply jump off the tracks. In fairness, the ride to Brussels was a bit too rough to use the computer to write, or the Kindle to read, and it was a bit of a challenge to move around the cabin, but considering the speed, it wasn’t bad. On the ride from Brussels to Paris, the track was considerably smoother. We spent two nights in Brussels, which gave us a full day to explore the city. 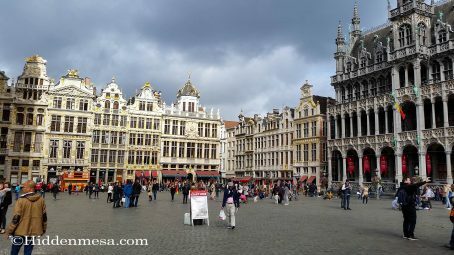 The Grand Place is the central Square in Brussels. Once the center of government in Belgium, the square was destroyed by the French in 1695. Surprisingly, it took only four years to re-build by the city’s guilds. Photo by Bonnie Fink. Brussels is a city to come back to. We’ll put up a post about Brussels, with pictures, in short order. We spent two nights at the Hilton Brussels Grand Place which was located downtown in the City Center, near all the city’s tourist activities. As you may know, Brussels is the capital of the European Union, and as such it’s a vibrant place. It also has extremely heavy security all around. In this case, it made us feel reasonably safe. Being typical tourists, we concentrated our efforts in Brussels exploring the sights in the city, and of course, sampling the chocolate, and a Belgium waffle here and there. Believe it or not, the Belgium waffle was a bit different than what we’re used to in the US, and for the better. As for the chocolate? We run into some pretty good chocolate in our ramblings around Walt Disney World so it’s hard to compete with our reasonably picky chocolate pallets, but Brussels did a good job. Let’s put it this way: On our trip back through Brussels from Paris to Frankfurt, we had just enough time between connections in Brussels that we set out in the train station looking for more chocolate to take back to Frankfurt. The train station at Disneyland Paris is literally at Disneyland Paris. There’s a station that lets you off right at the entrance to the parks. It’s also the entrance to Disney Village, which is the Disneyland Paris version of Disney Springs, or Downtown Disney in Anaheim. A quick walk through Disney Village and we arrived at our hotel, which was Disney’s Newport Bay Club. We arrived mid-day, and our room wasn’t ready, so we checked our bags and headed over to a park. An interesting side note about the room not being ready was that it seemed to us that the room wasn’t ready mostly because it wasn’t 3:00 pm. We didn’t notice any effort to determine if our room was available. It just wasn’t. Fortunately, the kind of reservations Bonnie had made included the room and the park tickets, and the tickets were good for the day of arrival and the day of departure. 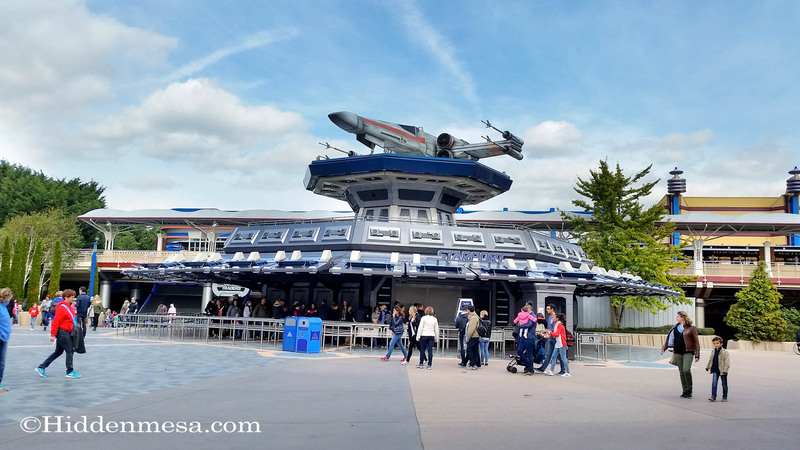 It was absolutely no big deal to simply drop off our bags and head over to Disneyland for an afternoon of fun while we waited for our room to be ready, or for 3:00 pm to come around, whatever the reason was. 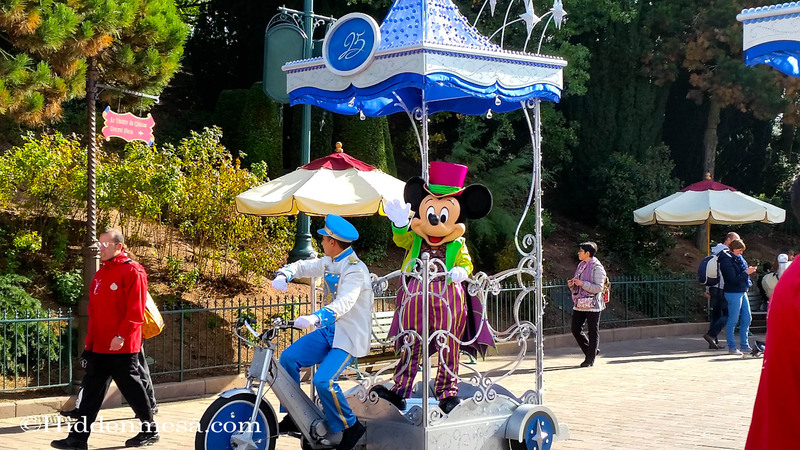 We had heard stories that the French (or more accurately the Europeans) didn’t queue well in lines, particularly when getting on a ride, entering a bus, or seeing a character. 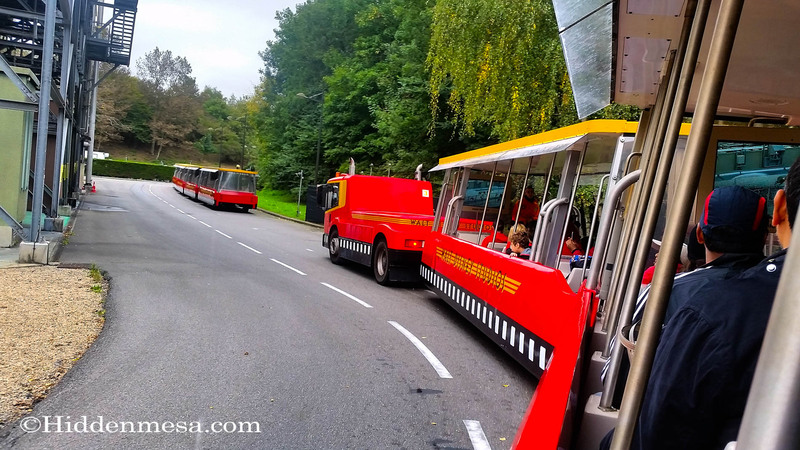 We didn’t ride a bus during this visit, but we actually took time to see how folks were behaving here in Europe, and truthfully, we didn’t notice anything significantly different from anything we see on a regular basis at Walt Disney World in Florida. The cast members were polite in a Disney kind of way, but the magic wasn’t quite there as it is in Florida. An example to illustrate what we mean is, have you ever watched the cast members in Florida when they’re setting up for a parade? They are usually interacting with the guests, dancing, and singing to the music in the background. It’s a delightful thing to watch, and you simply can’t make employees behave in this kind of over-the-top, friendly and enthusiastically way. At Walt Disney World, it’s obvious that the cast members are there because they want to be there. 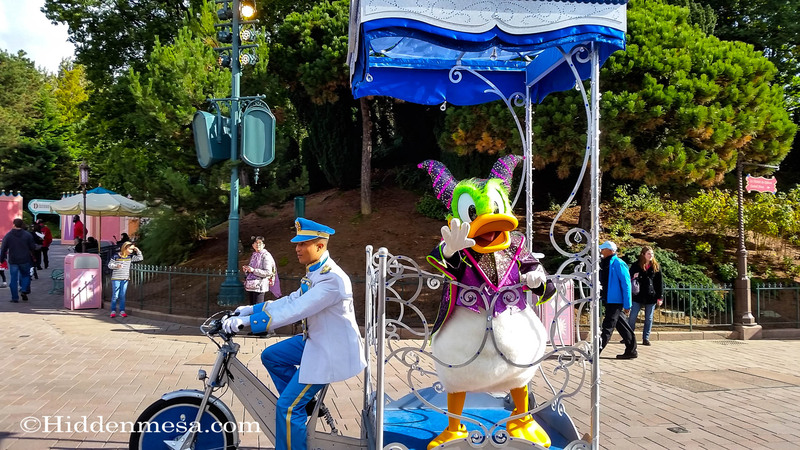 At Disneyland Paris, the cast members were polite and competent, but the magic wasn’t quite as evident. It was more of a job. Or so it seemed to us. We were watching a Main Street band (the equivalent of the Main Street Orchestra at the Magic Kingdom) play a few tunes, and many of the musicians were reading their music as they played. We’ve never seen the band play at Walt Disney World where they even had their music with them. Their parts had long been committed to memory. At Disneyland Paris, we saw a band playing tunes. At the Magic Kingdom in Florida, we typically see the Main Street Orchestra, but it’s not a band playing, it’s a performance. Does this mean we won’t come back to Disneyland Paris? Of course not. 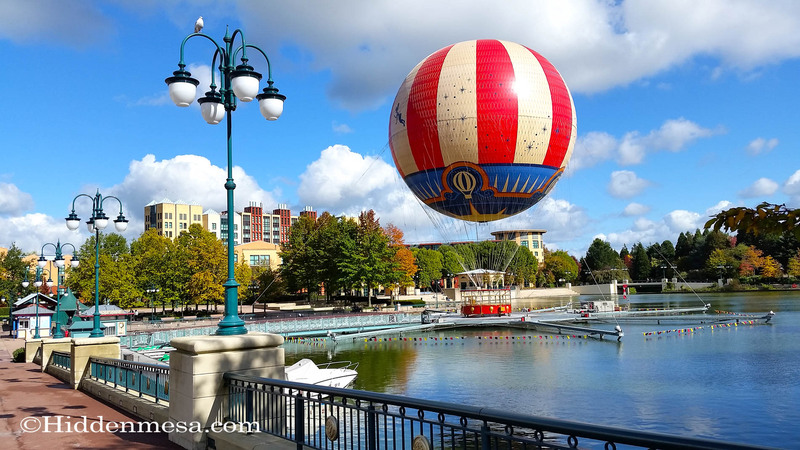 If it wasn’t for the fact that we spend a tremendous amount of time in Walt Disney World in Florida, we probably wouldn’t have noticed the difference. We’re jaded in that way. And as it was, the experience at Disneyland Paris was absolutely a positive one. We just like “our Disney” better. The Earffel Tower is still present at Walt Disney Studios. Photo by Bonnie Fink. We should talk about Walt Disney Studios first because it was our least favorite. That way we can end the article on a high note. Walt Disney Studios is probably the equivalent to Disney’s Hollywood Studios in Florida. 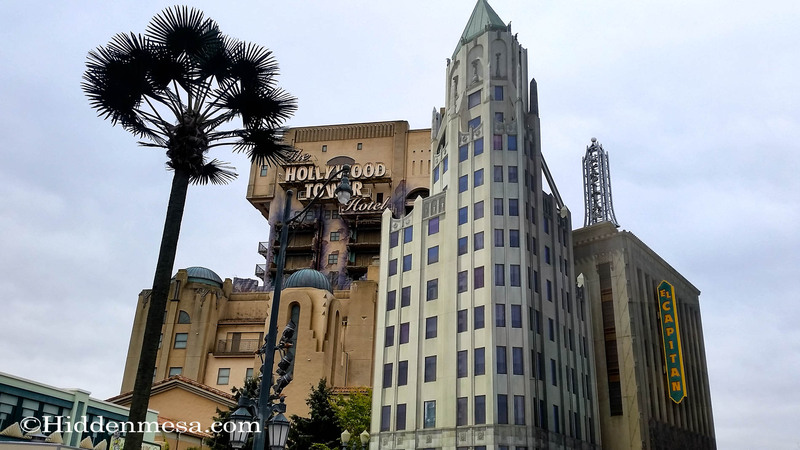 It houses the Tower of Terror Ride, a land called Toy Story and a few other twists not present in Hollywood Studios at Walt Disney World Florida. Truthfully, it wasn’t a “full day” park in our opinions. The Toy Story Land was cool, but it’s designed for the very young people, and as such the rides were of the more subdued variety. 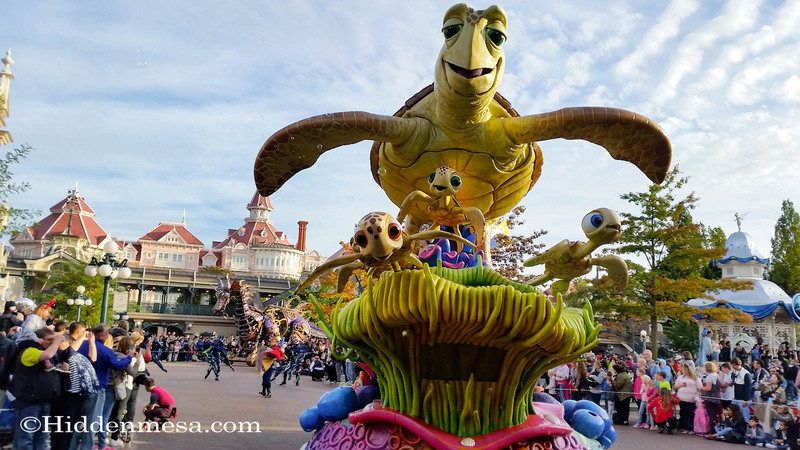 With a heavy presence of Buddy and a slightly disturbing French speaking Buzz Lightyear from Toy Story, and various other characters, it’s certainly worth a stop if you have youngins with you. If this is what Toy Story Land is going to look like at the Hollywood Studios in Florida, there will be some happy youngsters. It was fun place for them. Disneyland Paris Sleeping Beauty’s Castle. Photo by Donald Fink. Disneyland at Disneyland Paris is interesting. First, it’s a “full day” park as much as any other Disney park we’ve ever encountered. It’s well maintained, well groomed, and except for the absence of the “magic” from the cast members we mentioned before, it’s every bit as much of a Disneyland as any other Disneyland we’ve visited. The colors are different. Take a look at the pictures to see what we mean. 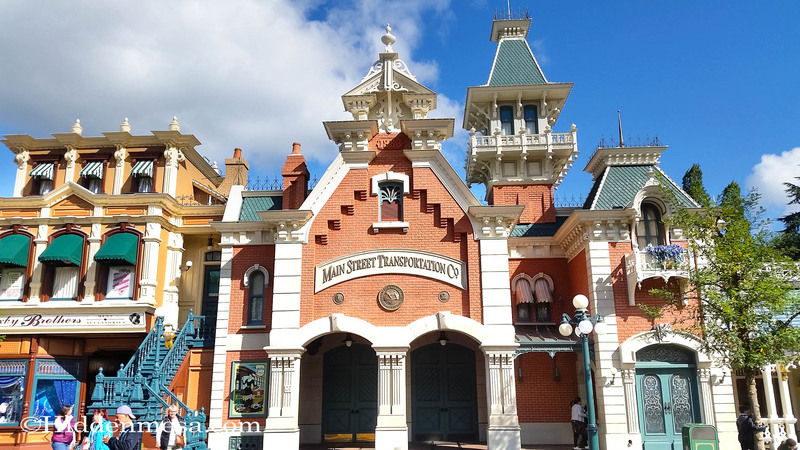 Rather than being a duplicate of Main Street USA in either Anaheim or Florida, for example, it’s as if it was a brand-new creation. The street is brick instead of pavement. 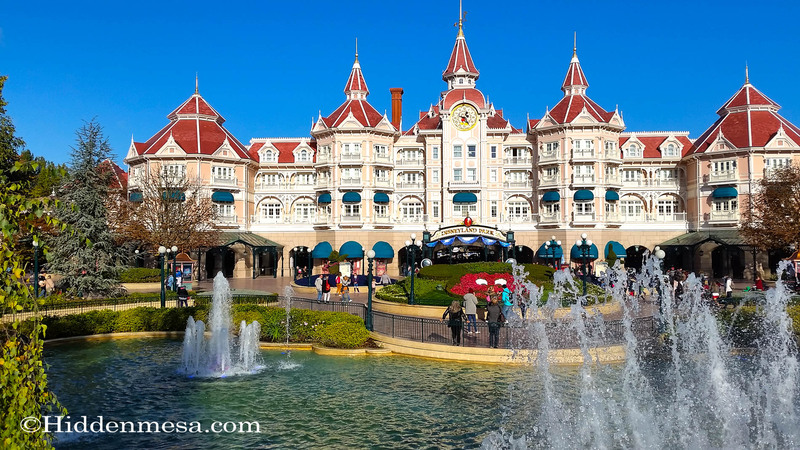 The buildings, while the same in terms of late 19th century or early 20th century architecture, are completely different in their colors from the other parks. 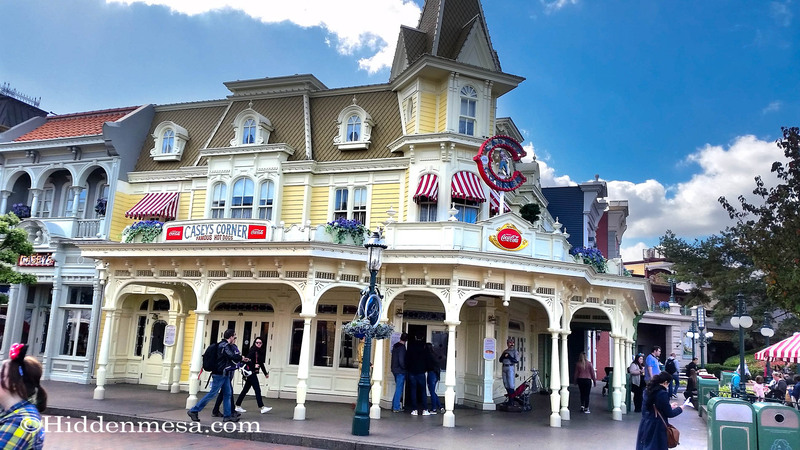 There’s a square at the head of Main Street USA, but instead of a massive flag pole, there’s a gazebo like you would see in many typical small towns in the USA. Casey’s is on the corner where it belongs, but there was no piano player. The ice cream shop was across the street, and while looking similar, it was selling Ben and Jerry’s Ice Cream. Ben and Jerry’s is an ice cream company headquartered in Vermont, but it seems to be really big here in Europe. Oh, and to underscore the fact that it was indeed Mainstreet U.S.A., many of the buildings did indeed have the Stars and Stripes flying overhead, even though the main flagpole was missing. Phantom Manor can be found in Frontierland at Disneyland Paris. Photo by Bonnie Fink. Frontierland was huge; at least twice as big as it is in the Magic Kingdom in Florida. Or so it seemed. 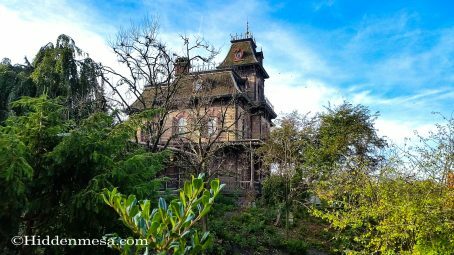 There was the Haunted Mansion—called Phantom Manor—that was nearly the same as The Haunted Mansion at Walt Disney World. The queue was a bit better designed here, and some of the features, while nearly the same, seemed a bit more up-to-date in terms of their technology. They were more believable. Even though the dialog was in French, it was still scary. Of course, there was Big Thunder Mountain. We didn’t ride, but it appeared to be the same as Walt Disney World’s version. Of course, the setting was a bit different because there’s a “river” next to the ride, separating it from Phantom Manor, and providing a place for the riverboat. What we did not see was the Country Bear Jamboree or Splash Mountain. We can see why Splash Mountain is left out. After all, it actually snows at Disneyland Paris, and since Splash Mountain is a wet ride, it wouldn’t be all that popular in the winter. No idea about Country Bear Jamboree. Maybe the French aren’t as fascinated with singing bears as we are. Adventureland has a ride called Indiana Jones and the Temple of Peril, or Indiana Jones et le Temple du Péril. It’s a small roller coaster ride in a mine car through what looks like an archaeological dig. It’s the only ride we’re aware of in a Magic Kingdom Park that goes upside down. By upside down, we mean that it does a quick inside loop, but it happens so fast, and it’s so tight, that you have to pay attention to notice it. We were shooting with our GoPro when the loop occurred, and the extra G force caused Don’s hand to move down slightly and the upside down part was completely missed in the video. For the “It’s a Small World” fans around, the ride seems to be brighter, happier (if that’s possible), and with better audio. The GoPro had no trouble capturing the whole thing, and it usually struggles with the ambient light in the ride at Walt Disney World. When we were doing our research about Disneyland Paris, we read several stories about the place being run down, rude cast members, out of control crowds, and so on. When got there, none of it was true. The parks were actually in good shape in terms of repair, paint, and so on. Disneyland itself was pristine. Walt Disney Studios seemed to lack a bit of focus for us, but maybe we were having an off day. It was very cold the day we were there. Maybe we were grumpy. 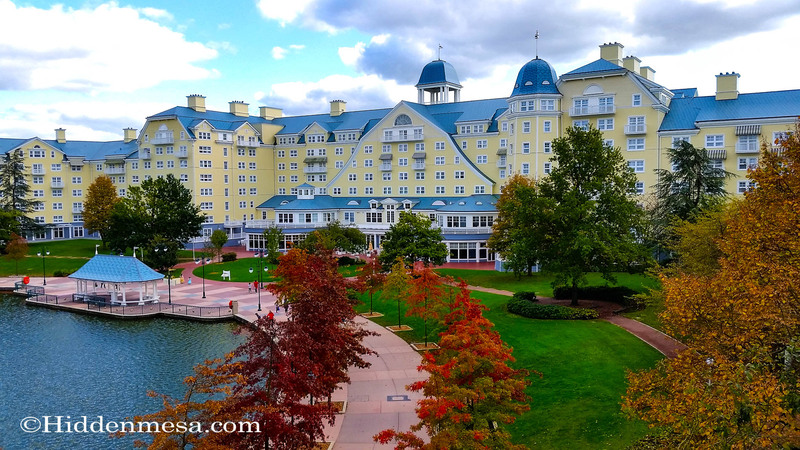 The hotel was odd in its layout, but otherwise a fine hotel that reminded us of The Yacht and Beach Club at Epcot. Its level of repair was not quite up to Disney standards in Florida, but remember the harsh weather in France. It might just be enough to make the difference. The hotel was great in all ways that matter. Take a six minute ride in PanoraMagique. Photo by Donald Fink. The one area that needs improvement in our view was Disney Village. From an appearance point of view, it seems a bit run down. Even accounting for the harsh weather, it needs work. On the plus side, there was a Starbucks, an Earl of Sandwich, a MacDonald’s, and a Five Guys Burger, as well as other great places to eat. Shopping seemed adequate too. Safety should not be a problem at Disneyland Paris. 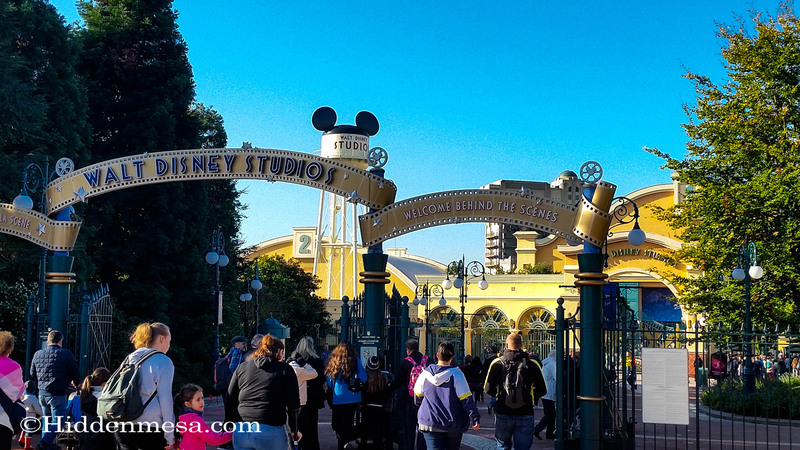 Every entrance was covered with security, including all entrances to Disney Village. We make it our practice to not go into the specifics of exactly what the security was like, but security was there, and it seemed to be effective. 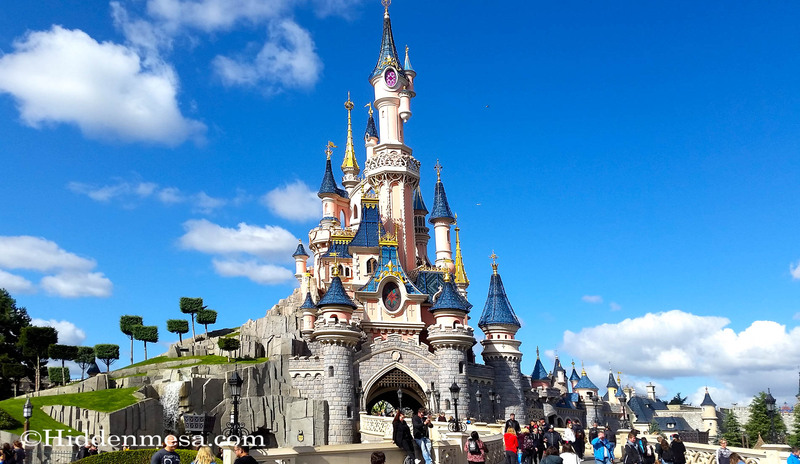 So, will we go back to Disneyland Paris? The answer to that is absolutely. Probably, the next time we come to Europe, we’ll figure a way to make our way to Paris and spend a few days at Disney. Actually, what we would like to do is stay at a Disney hotel, most likely the Disneyland Hotel at the very entrance to Disneyland, and visit the parks from there. We could build in a couple of extra days to the trip and use the train station to make our way into Paris City Center to visit Paris too. The Grand Place is the central Square in Brussels. Once the center of government in Belgium, the square was destroyed by the French in 1695. Surprisingly, it took only four years to re-build by the city's guilds. Photo by bonnie Fink. 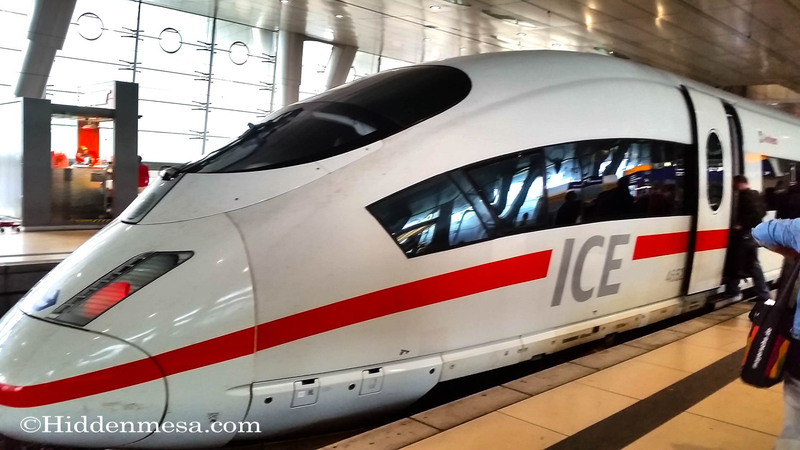 This is the train that was blazing along at 185MPH between Frankfurt and Brussels. We're in the train station beneath a terminal the Frankfurt Airport. Photo by Bonnie Fink. 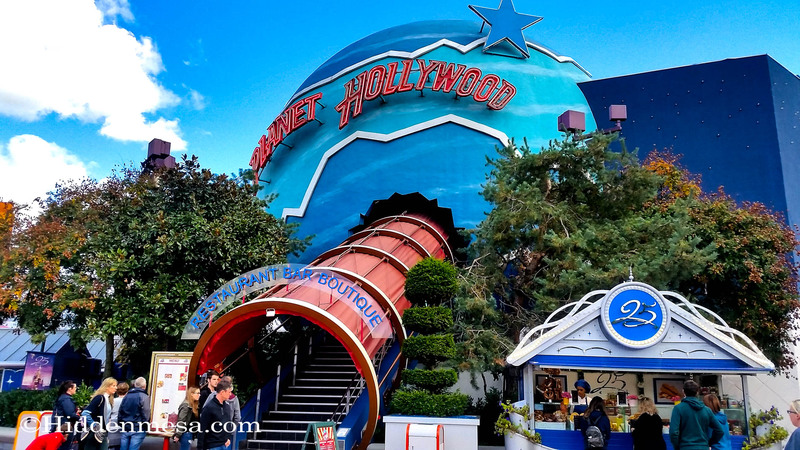 You walk under the Disneyland Hotel to enter Disneyland Paris. Photo by Bonnie Fink. 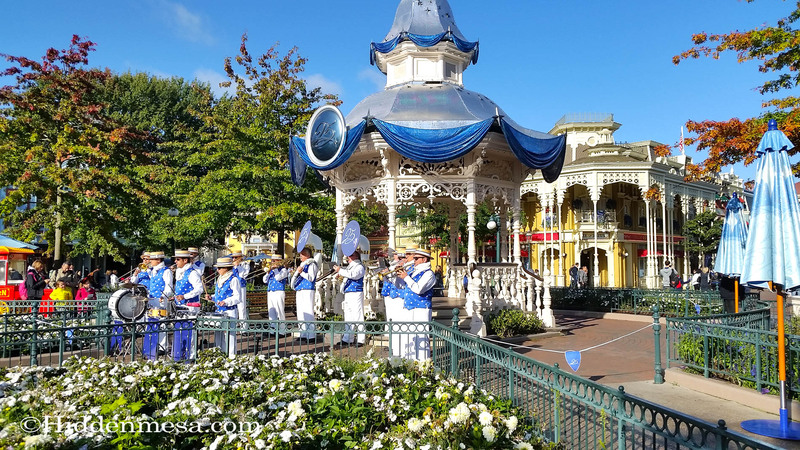 This is a Disneyland Paris version of the Main Street Orchestra from the Magic Kingdom. 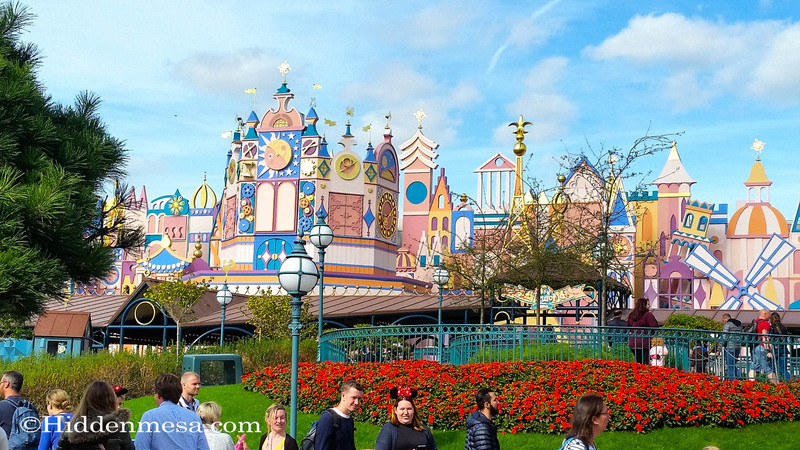 It this image, you can see the decorations commemorating Disneyland Paris's 25th anniversary. Photo by Bonnie Fink. There are two covered walkways behind the shops on Main Street USA. This one is called Discovery Arcade. 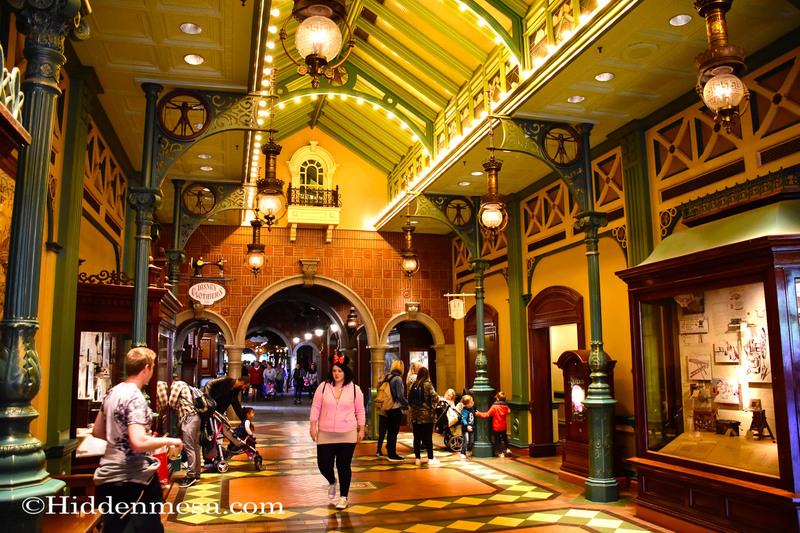 You have access to the shops and restauraants from the Arcade, but you also have a covered, alternative route out of the park when Main Street U.S.A. is busy. Photo by Donald FInk. Main Street Transportation on Main Street USA. Photo by Bonnie Fink. 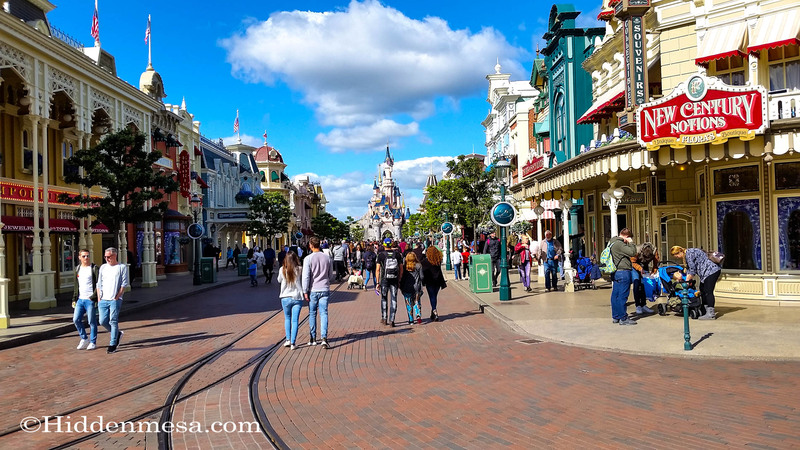 Looking down Main Street USA at Sleeping Beauty's Castle. Photo by Donald Fink. 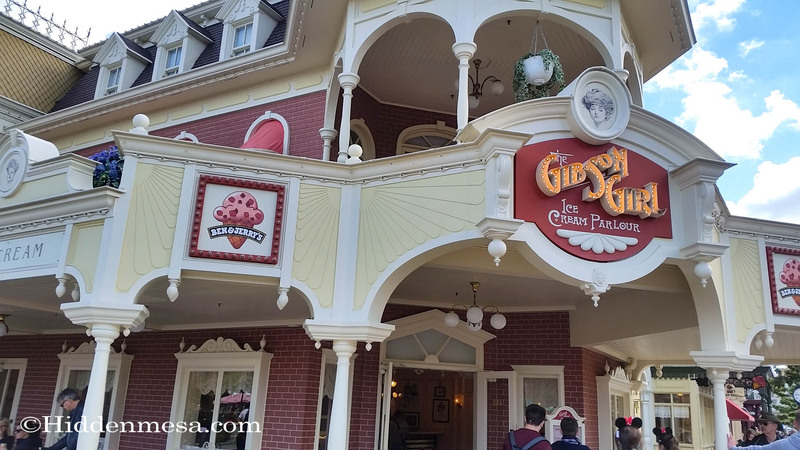 The Gibson Girl Ice Cream Parlour, featuring Ben & Jerry's Ice Cream. Photo by Bonnie Fink. 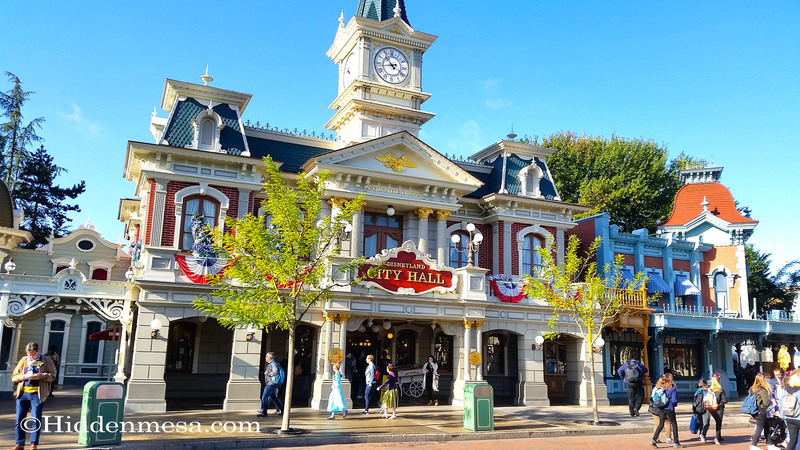 City Hall on Main Street USA. Photo by Bonnie Fink. 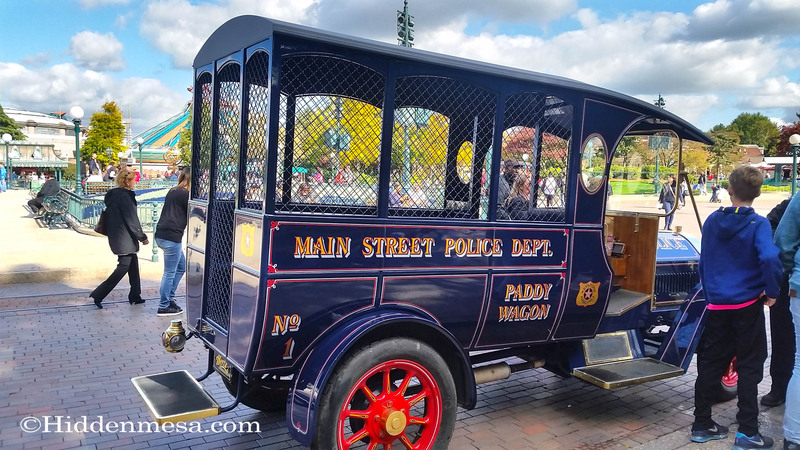 Take a one way trip down Main Street in the Main Street Police Department Paddy Wagon. Photo by Bonnie Fink. 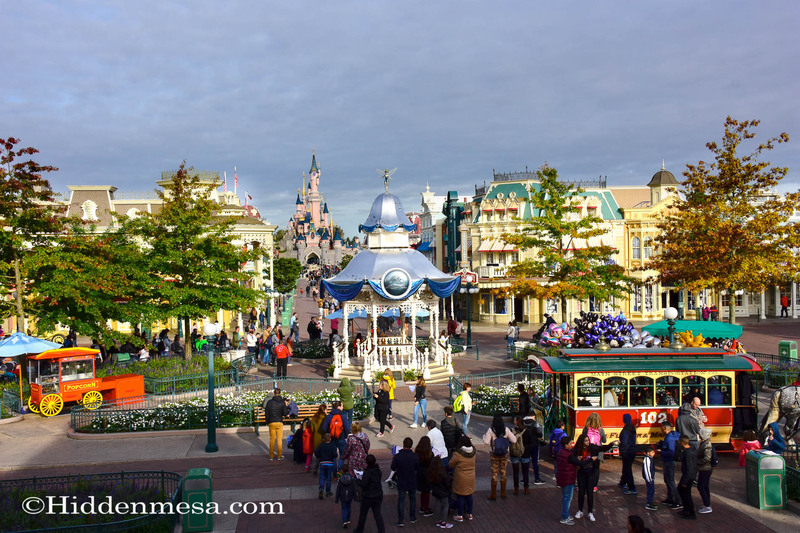 Looking down on Main Street and at the Castle from the Train Station. Photo by Donald Fink. Mickey and Minnie in front of Sleeping Beauty's Castle. Photo by Bonnie Fink. Disneyland Paris Sleeping Beauty's Castle. 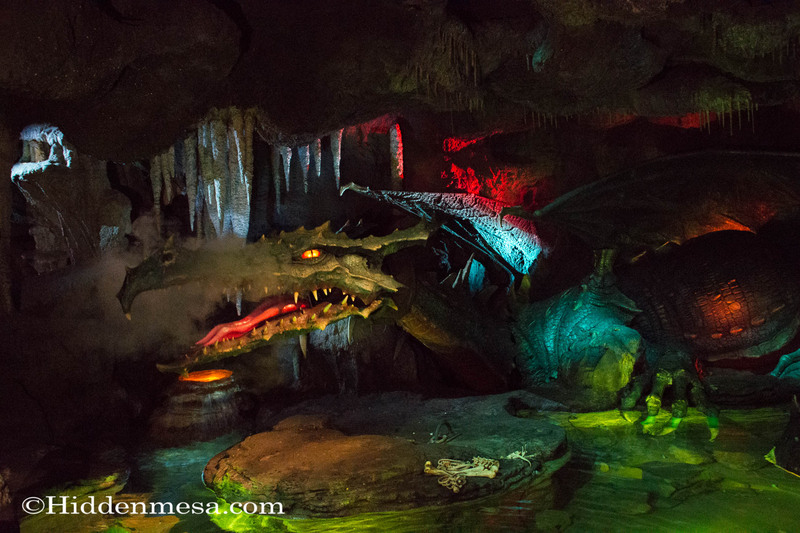 If you go under the castle you will find a dragon. Photo by Donald Fnk. 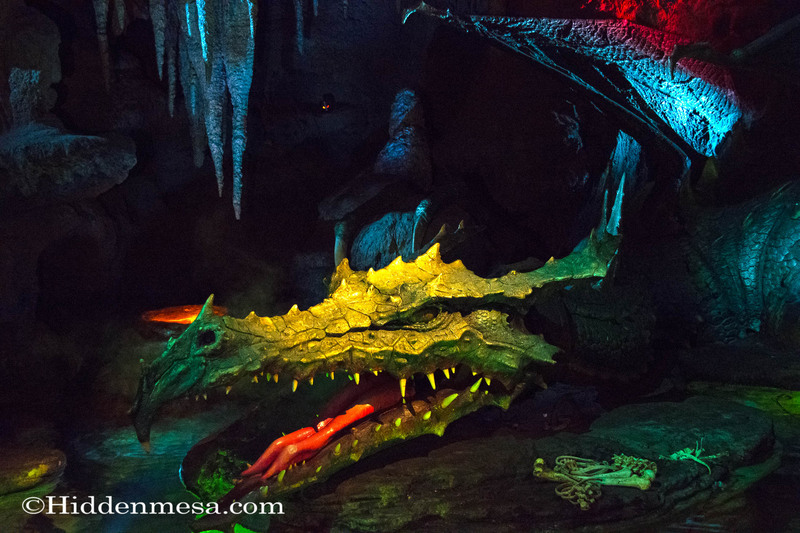 The animated dragon is located under Sleeping Beauty's Castle. Be sure to stop by. it's easy to miss. Photo by Donald Fink. 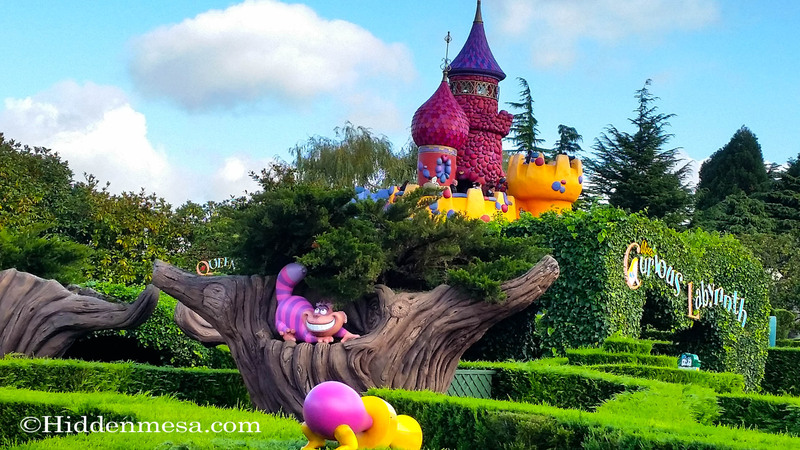 Take a stroll through Alice's Curious Labyrinth in Fantasyland. Photo by Bonnie Fink. It's a Small World in Fantasyland. 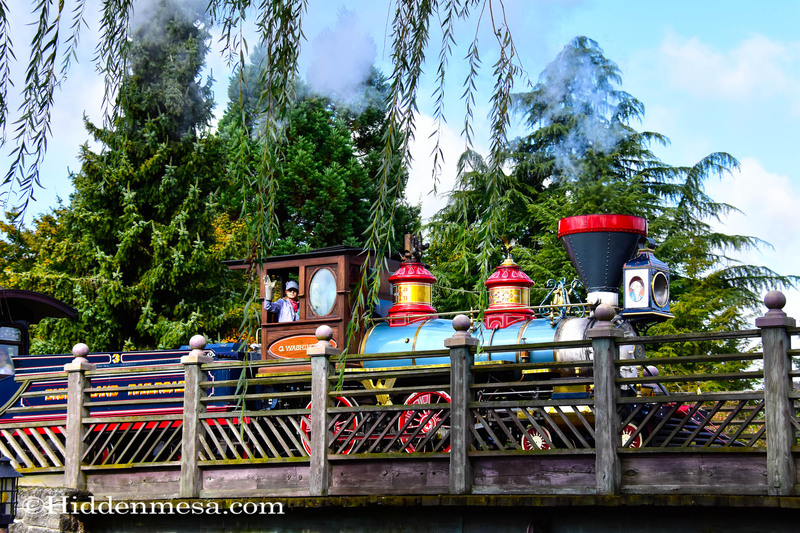 The Disneyland Railroad goes around the park with depots at all the lands except Adventureland. Photo by Donald FInk. 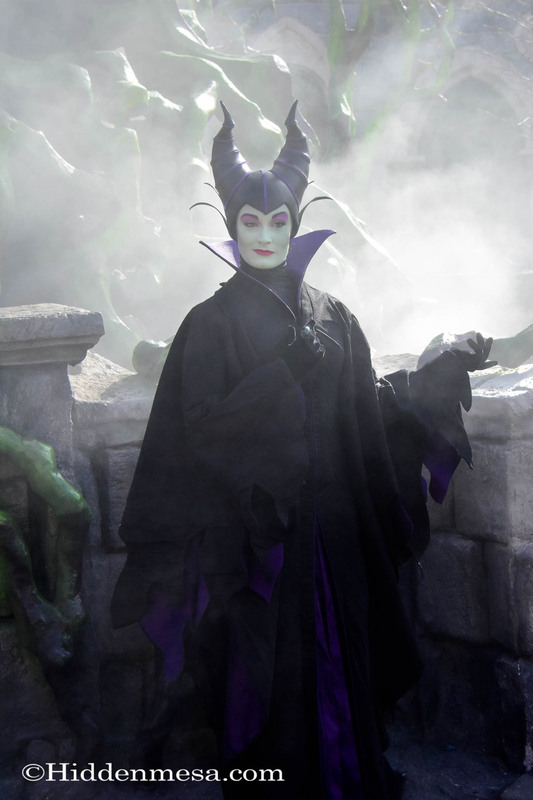 Maleficent can be found in Fantasyland. Photo by Donald Fink. Crush and Friends in the Disney Stars on Parade. Photo by Bonnie Fink. 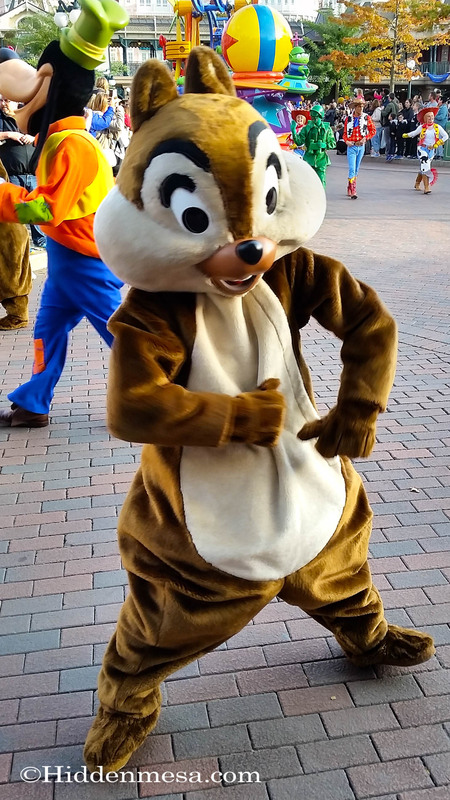 Chip showing his moves in the Disney Stars on Parade. Photo by Bonnie Fink. 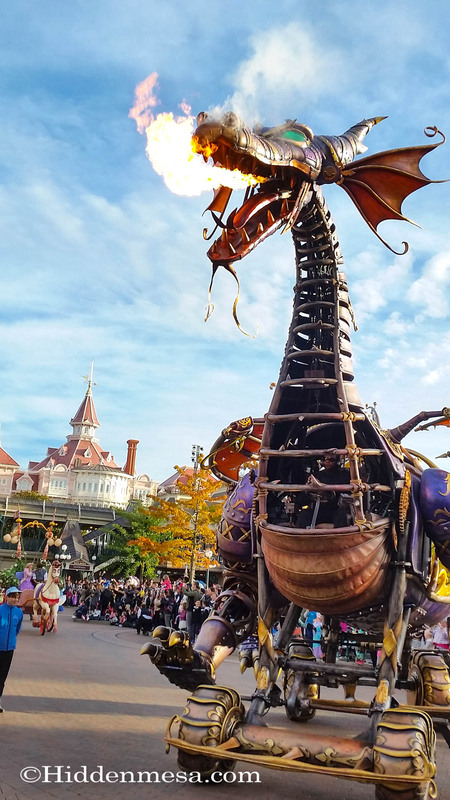 Maleficent turns into a fire breathing dragon during the Disney Stars on Parade. Photo by Bonnie Fink. 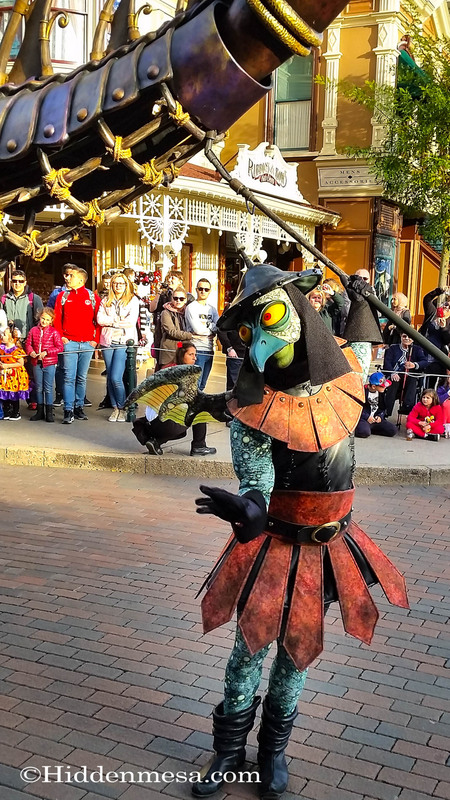 This guy keeps Maleficent's tail under control during the Disney Stars on Parade. Photo by Bonnie Fink. 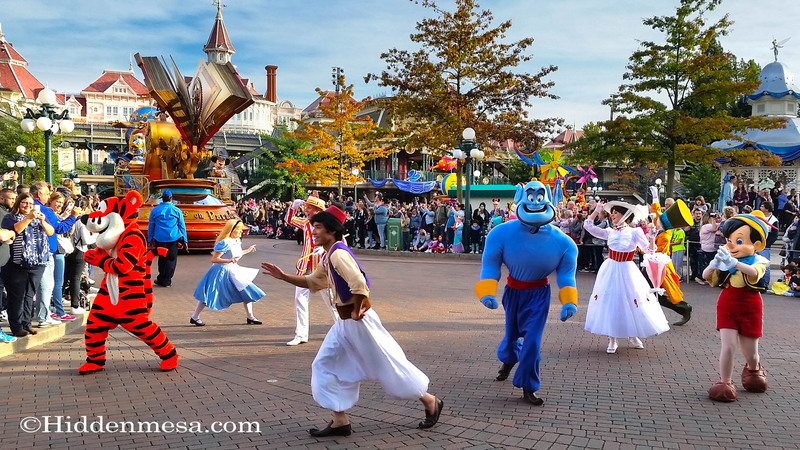 The whole gang is dancing during the Disney Stars on Parade. Photo by Bonnie Fink. 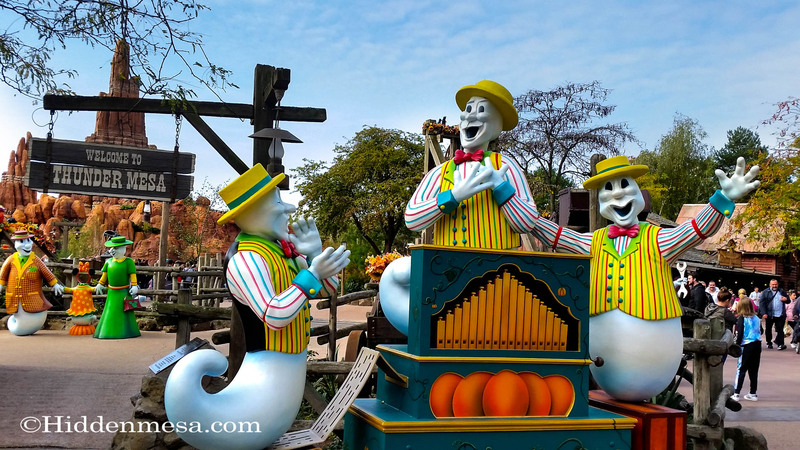 A trio of singing ghosts in front of Thunder Mesa. Photo by Bonnie FInk. 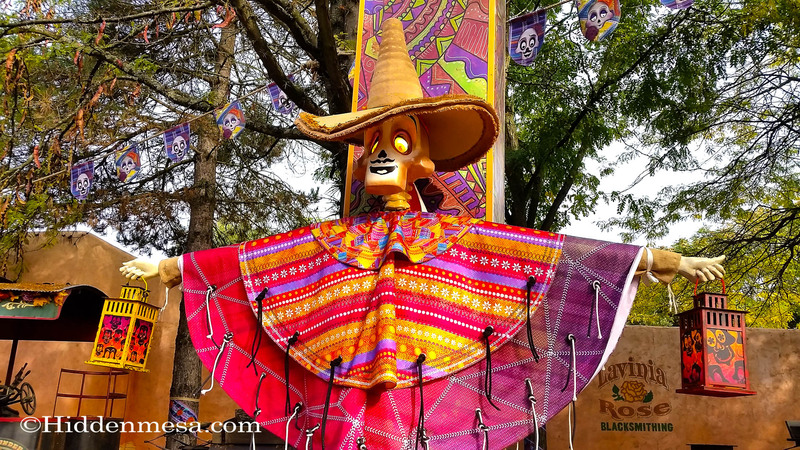 Day of the Dead character from the Movie Coco in Frontierland. Photo by Bonnie FInk. 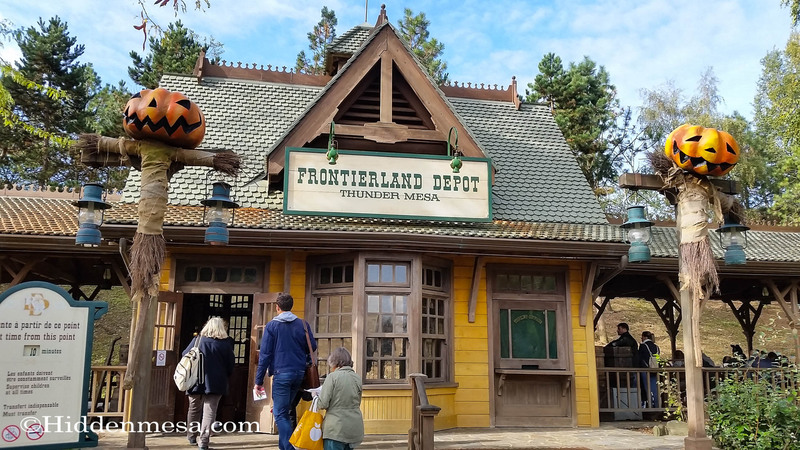 Frontierland train Depot decorated for Halloween. Photo by Bonnie Fink. 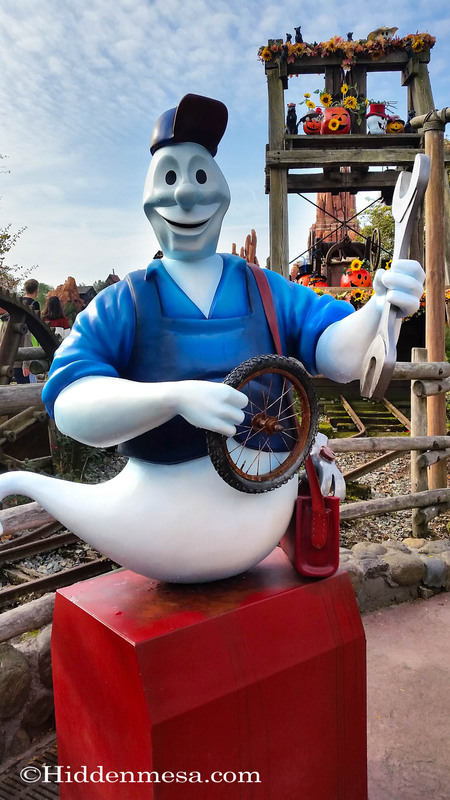 A friendly car mechanic ghost in FrontierLand. Photo by Bonnie Fink. 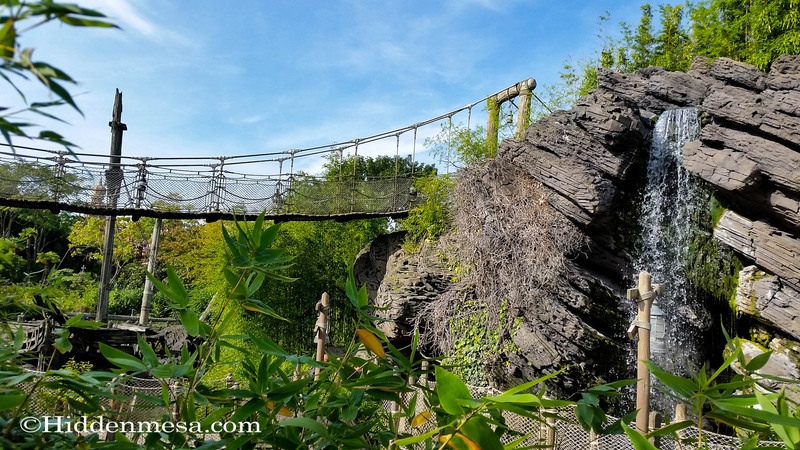 Adventure Isle is similar but a different theme to Tom Sawyer Island. Photo by Bonnie Fink. 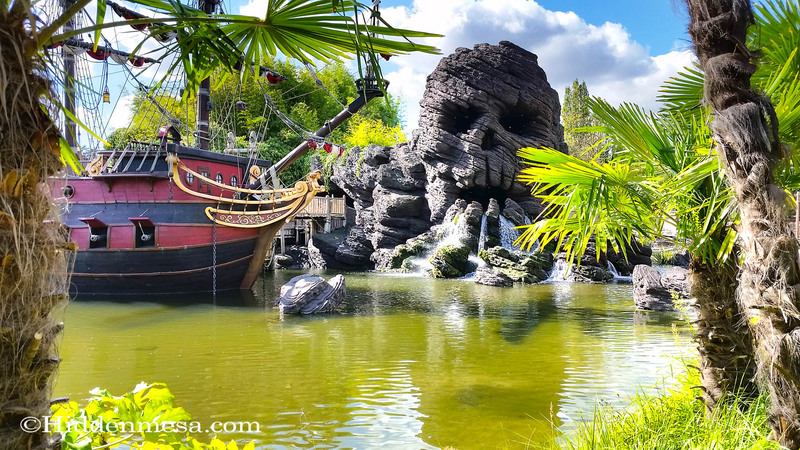 Adventure Isle is behind the pirate ship and Skull Rock. Photo by Donald FInk. 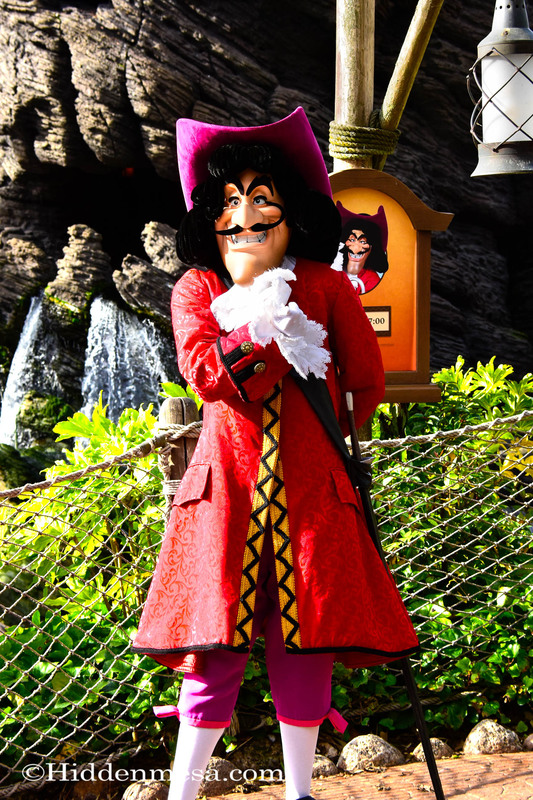 You can meet Captain Hook in Adventureland. Photo Donald Fink. 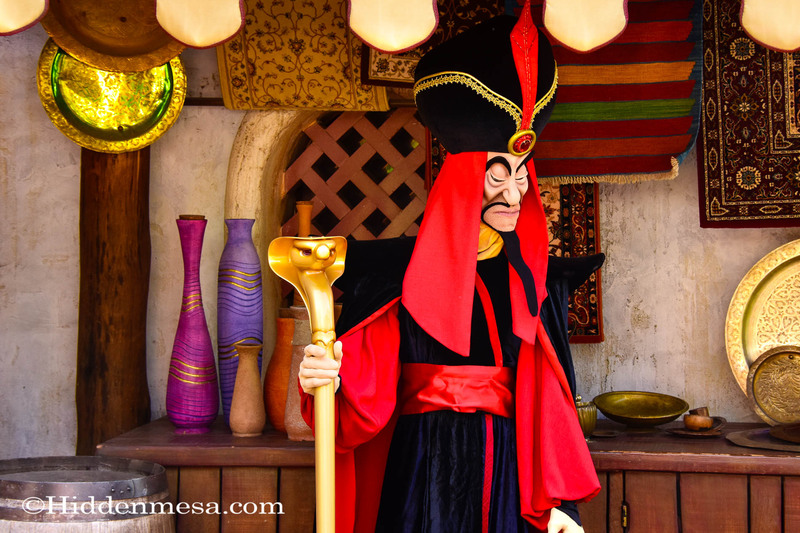 Jafar can be found in Adventurland. Photo by Donald Fink. You can have an encouter with Darth Vader at Star Port. Photo by Bonnie Fink. 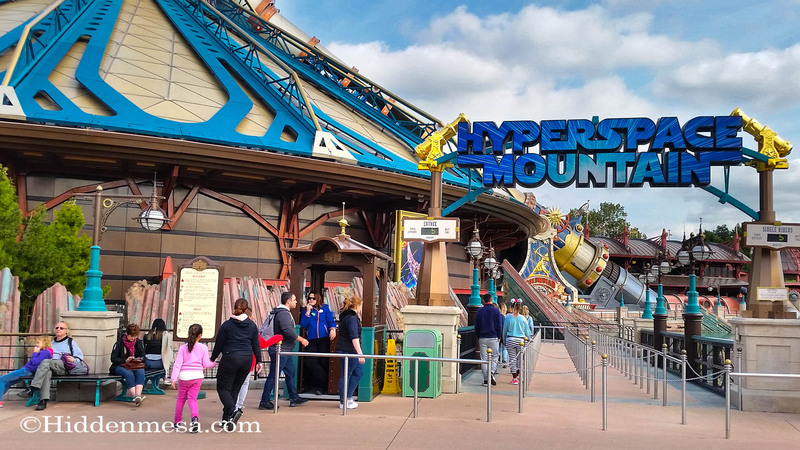 Take a thrilling ride on Hyperspace Mountain, Disneyl;and Paris's answer to Space Mountain at the Magic Kingdom. Photo by Bonnie Fink. 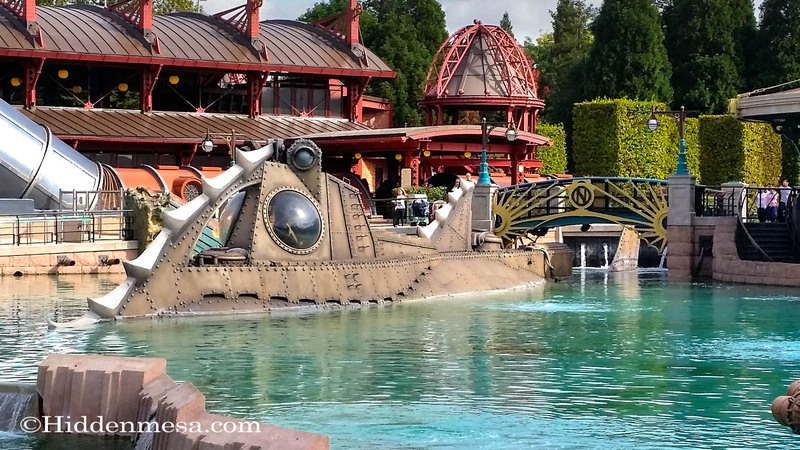 You can walk through the Nautilus in Discoveryland. Photo by Bonnie Fink. 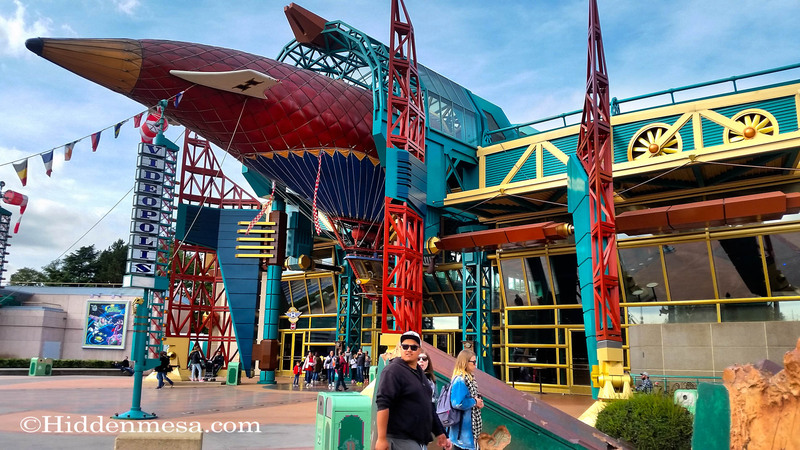 Videopolis is a quick service restaurant very similiar to Cosmic Ray's, but with a steam punk vibe. Photo by Bonnie FInk. Mickey Mouse in the Mickey's Halloween Tricycle Gang. Photo by Bonnie Fink. 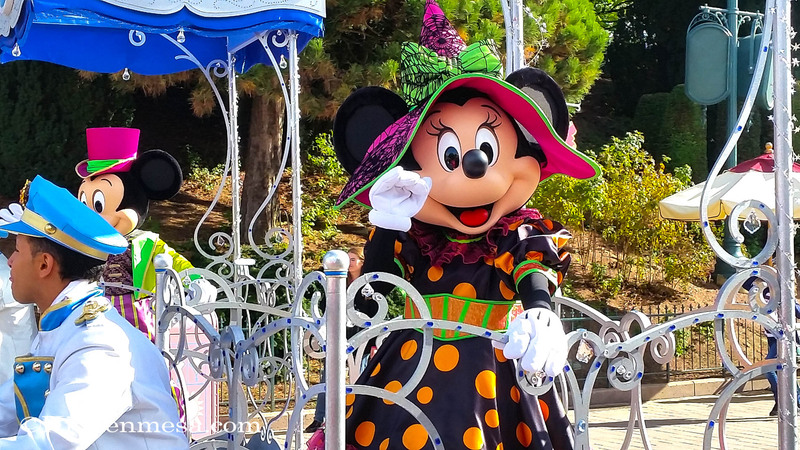 Minnie Mouse in the Mickey's Halloween Tricycle Gang. Photo by Bonnie Fink. Donald Duck in the Mickey's Halloween Tricycle Gang. Photo by Bonnie Fink. 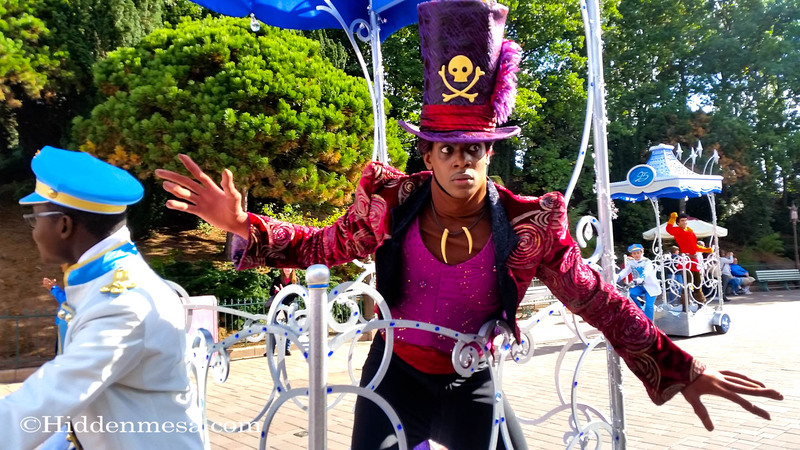 Doctor Facilier in Mickey's Halloween Tricycle Gang. Photo by Bonnie Fink. 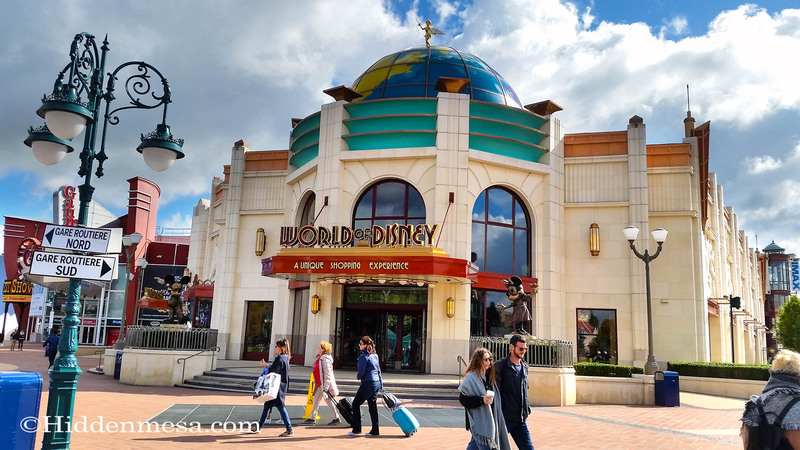 For all things Disney, there is a World of Disney store located in Disney Village. Photo by Bonnie Fink. 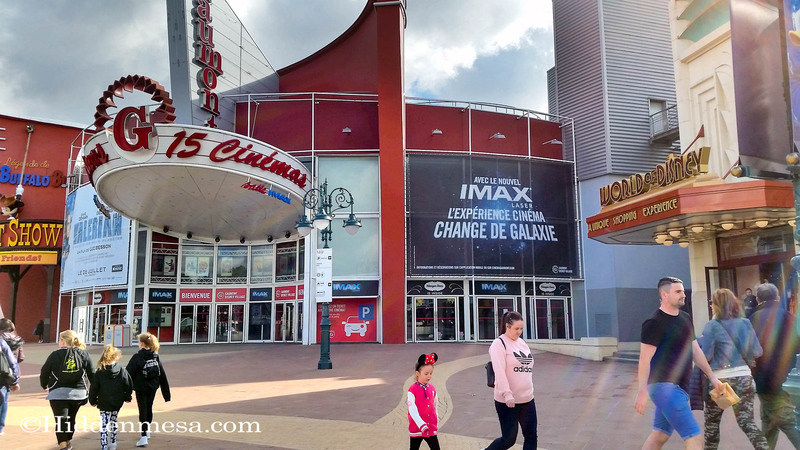 If you feel the need to see a movie there are fifteen screens and an Imax in Disney Village. Photo by Bonnie Fink. 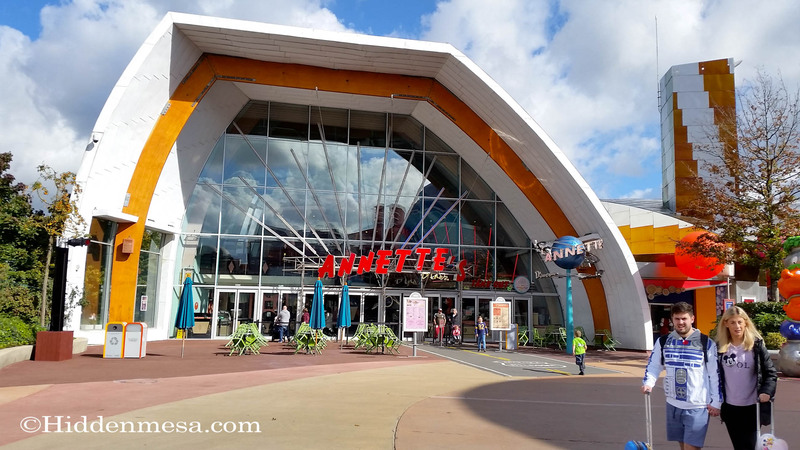 Annette's is a classic 50's diner in Disney Village. Photo by Bonnie Fink. 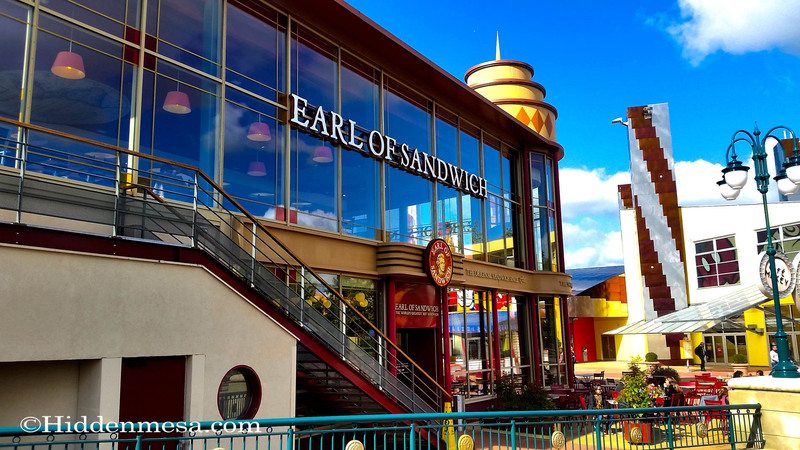 There is an Earl of Sandwich in Disney Village but no Holiday Turkey Sandwich. Photo by Bonnie Fink. If your looking for a good hamburger, there's a Planet Hollywood for you. Photo by Bonnie Fink. 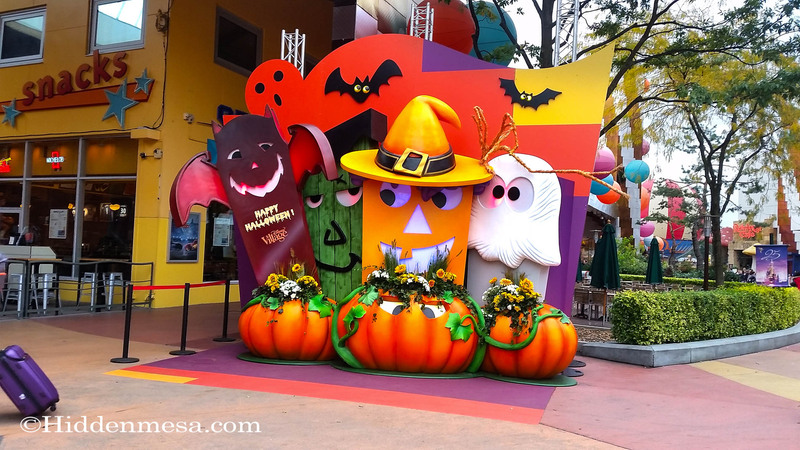 Disney VIllage was decorated for Halloween. Photo by Bonnie Fink. 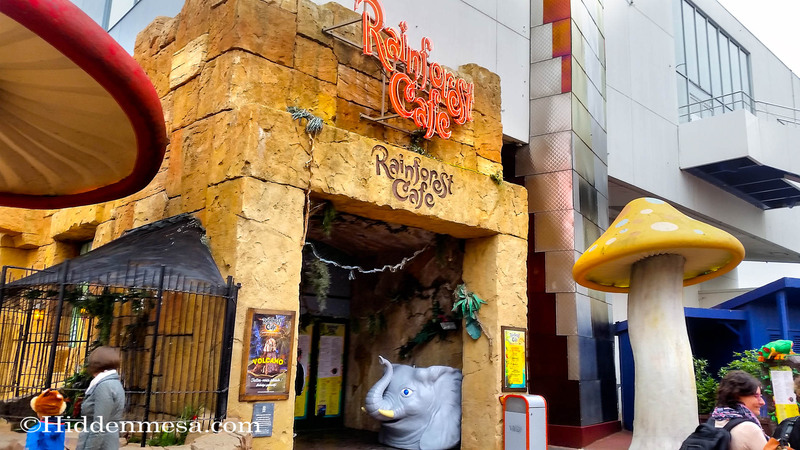 Of course there's a Rainforest Cafe. Photo by Bonnie Fink. 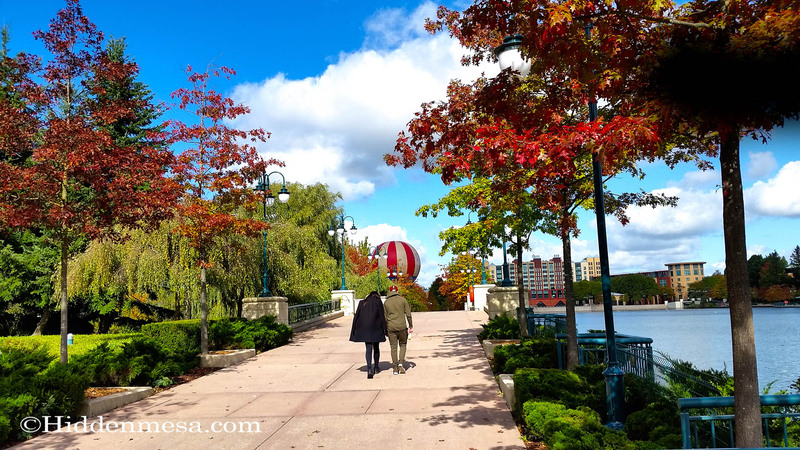 Walk way around Lake Disney, or Lac Disney as they say in France. 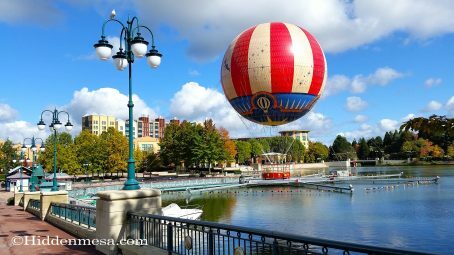 With the Disneyland Paris Balloon, PanoraMagique. Photo by Bonnie Fink. Disney's Newport Bay Club was our home for four nights. It was just a short walk to Disney Village, both parks, and the train station. Photo by Bonnie Fink. 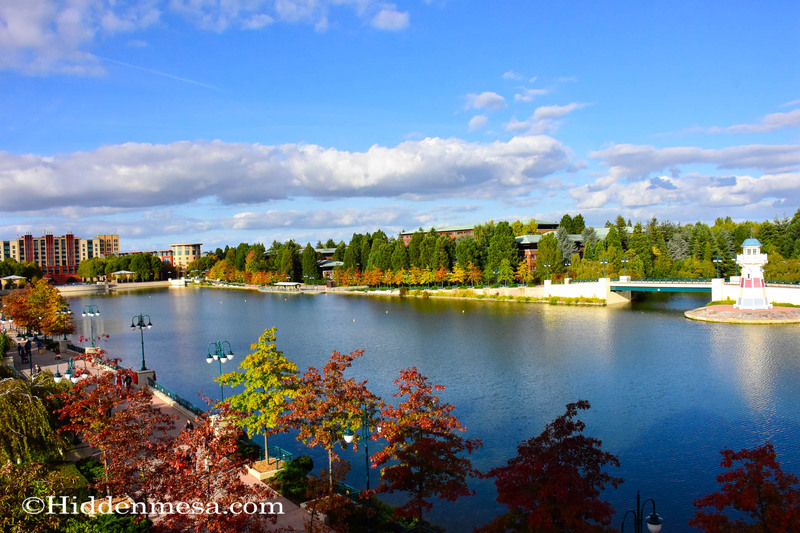 Most of the Disney Resorts are around Lake Disney. Photo by Donald Fink. The Twilight Zone Tower of Terror; a fun ride at any park. Photo by Bonnie Fink. 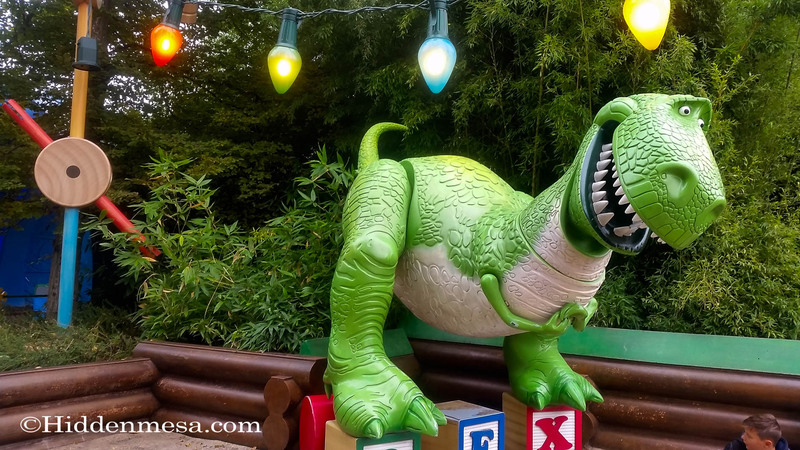 Rex at Toy Story Play Land. He's always ready to have his picture taken. Photo by Bonnie Fink. 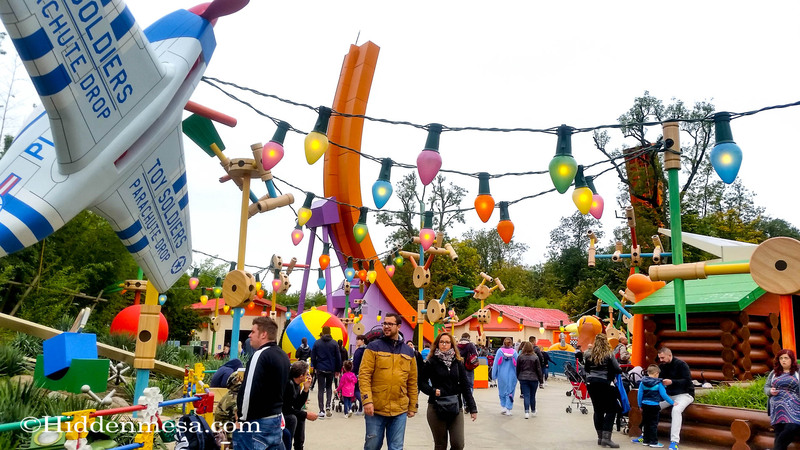 Toy Story play land might be how the new land at Walt Disney World Resort will look. Photo by Bonnie Fink. 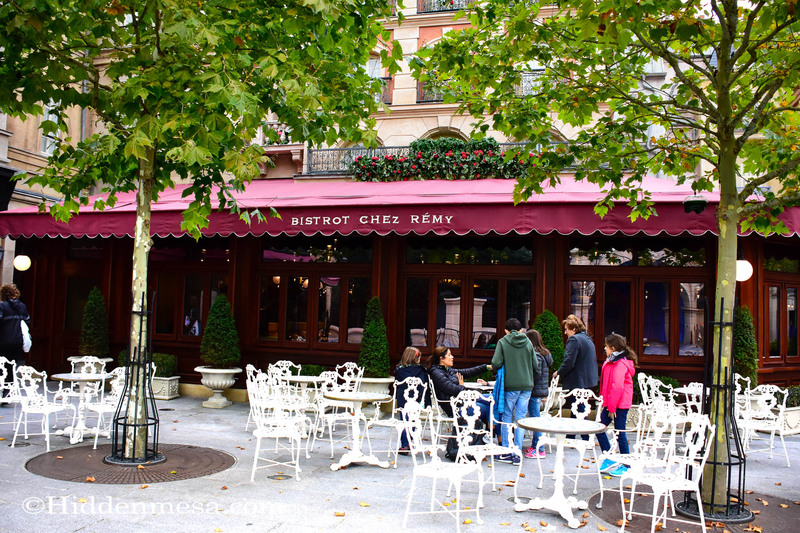 Bistrot Chez Remy, which looked like a very good table service restaurant, is right next to the ride Ratatouille. The ride Ratatouille was a lot of fun, looking forward to it opening at Disneyworld, Epcot. Photo by Donald Fink. Take a fun tram tour that includes Catastrophe Canyon. The narration on this tour was all English, maybe because it's supposed to be a back lot tour in Hollywood. Photo by Bonnie Fink.